Mascot Costumes Manufacturer with Low Price! Great costume. Decent quality!Easy to wear.Comfy. Applicable user: adults & children. Mouth ventilation is sufficient as is the visibility through eye holes. All the pictures are shot from real samples as well as provided by our customers. We highly recommend our mascot costumes. Breathe easy. Great value and lots of fun! We promise you could get a excellent costume. 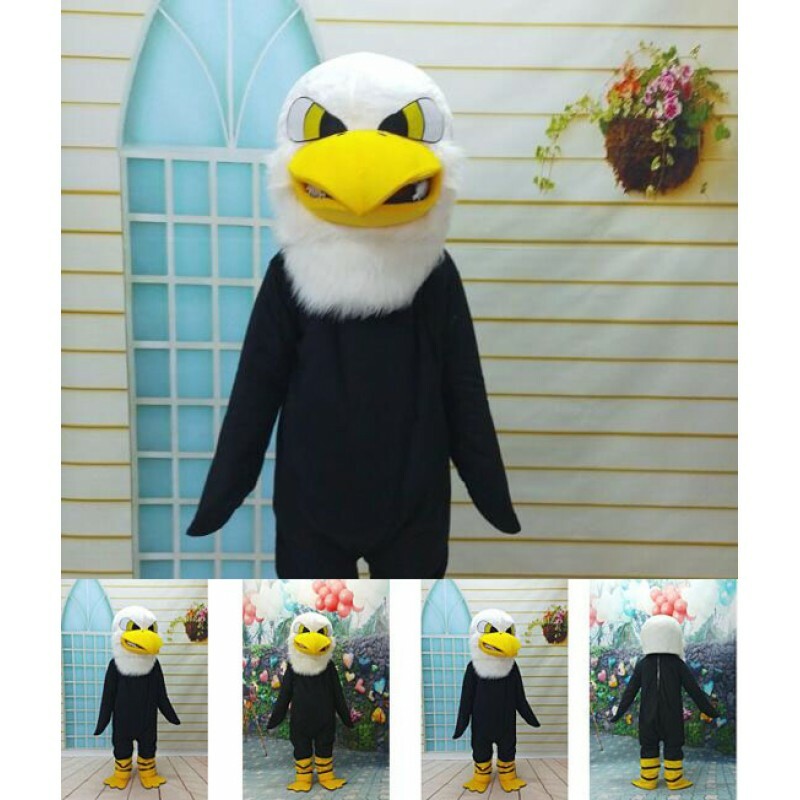 All mascot costumes are brand new, in excellent condition and made with soft and Light material. We will take full responsibility if there is any problem concerning it. Our Products advantages:The flexibility is very good and it is very light User could breathe easily from the holes of the eyes, mouths and the neck area. You will not feel uncomfortable to have it on for a long time. The whole costume including the head, hand covers, the cloth and the shoes. Color:The Same as Picture.Specific Color Request Please contact us or Leave it in Order Comments. Note:Mascot is a Special Order Item, Usually we need 2-7 work days to customize them, Your delivery date should be Processing Days + Shipping Days Later, If you have specific requirments, Such as color, head design, eyes, nose, mouth,logo print. Please contact us or just leave it in order comments. Mascot is a Special Order Item, Usually we need 2-7 work days to customize them. Adult Sport Ram Mascot Costume..
Green University Eagle Mascot Costume..
6Th Version Tigger Mascot Adult Costume.. Copyright ©2018 Joy Mascot Costumes - All rights reserved.